Today’s consumers crave “experience.” Previously, malls were a popular destination for family outings, and offered young people a place to hang out after school… The mall itself was a traffic driver. Times have changed, and the digital world has opened up an infinite number of experiences. In response, retailers are developing new concepts and implementing in-store experiences to attract consumers. Nordstrom’s “Pop-In@Nordstrom” series features trending and exclusive brands, the “Creator’s Studio” in future Joann stores will offer a social and collaborative space, and Virtual Reality and mobile apps have been incorporated by countless retailers to enhance the in-store experience. However, concepts like Dave & Buster’s, Round 1, Bowlero, and Chuck E. Cheese’s were built with the goal of providing an experience. The experiential industry will continue to grow, and competition from newcomers is likely to increase. 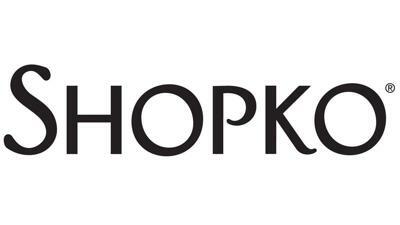 Shopko Holding, DIP, announced that despite the Company's best efforts, it was unable to find a buyer as a going concern. As a result, Shopko will commence an orderly wind-down of its retail operations beginning this week. Further, the Company is evaluating strategic options for its optical business. At January 16, the date of the Chapter 11 petition filing, the Debtor operated four standalone optical centers, but had said it expects to have 61 standalone optical stores, including 54 “carved-out” units that will be established. The Company will not move forward with the auction that it previously contemplated, and Gordon Brothers will oversee a liquidation process that is expected to conclude 10-12 weeks from now. As a result, the Debtor has filed a motion to close the 120 stores(click here to request a complimentary list of the closings). it had contemplated operating as a go-forward business. Meanwhile, the Committee filed a motion seeking the return of $117.0 million paid to Sun Capital, including $67.0 million in special dividends and fees constituted as fraudulent conveyance and $50.0 million in dividends said to be illegal. In February, an investigation led by a Special Committee of independent board members identified approximately $180.0 million in dividends and fees paid to Sun Capital between 2007 and 2015. On March 1, 2019, the Court entered an order approving the Disclosure Statement and setting the hearing on confirmation of the Plan for April 2, 2019. 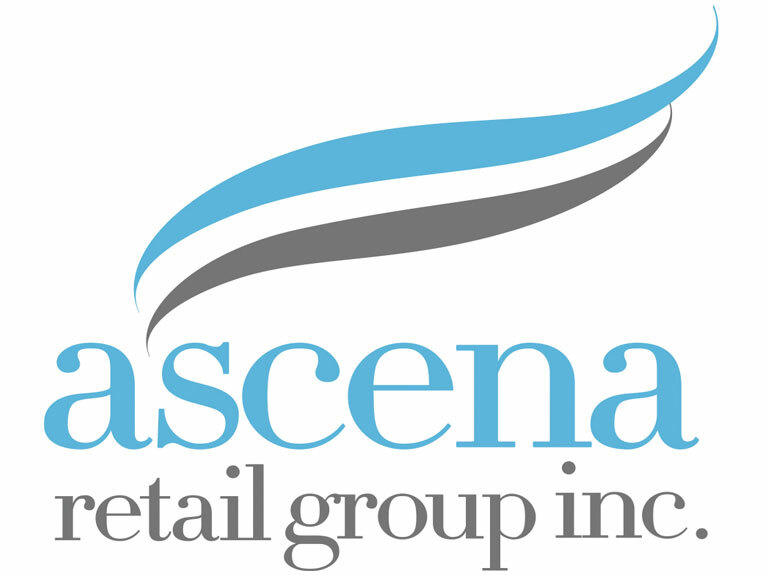 Things Remembered Inc., DIP announced the completion of its asset sale to Enesco Properties, LLC, which acquired 176 of the Company’s 436 stores, as well as its online and direct mail operations. Previous negotiations between the parties had contemplated Enesco acquiring “at least 50” units. Almost all of the store closings were effective as of February 28, with the exception of a few, which will close no later than March 30.Please click here to request a list of future planned closings. Amazon will no longer prohibit vendors that sell on its Marketplace platform from selling their products at lower prices on competing platforms. Amazon’s price parity provisions gave it a competitive edge, but because of its size, also led to concerns about its impact on competition and fair pricing for consumers. The decision to end the policy comes three months after Senator Richard Blumenthal urged the Department of Justice to open an antitrust investigation into Amazon’s policies and a few days after Democratic Presidential Candidate Senator Elizabeth Warren announced she would make breaking up Amazon, Google and Facebook a big part of her campaign platform. Meanwhile, the Arlington County, VA Board unanimously approved $23.0 million in incentives for Amazon to build a headquarters in the Crystal City neighborhood, just outside of Washington, DC. It was the last approval Amazon was seeking as part of its plans. While there was some protest, it was not nearly as strong as in NYC, where protestors were objecting to a proposed $3.00 billion in tax incentives that eventually motivated Amazon to cut and run. It is interesting to note that the median rental price of apartments in Queens fell 1.8% in February after Amazon backed out of its plans. New leases also saw an annual drop for the first time in seven months in February. In other news, Amazon signed a long-term lease on a 98,000 square-foot property in Harleysville, PA that it plans to use as a last-mile distribution center. Amazon maintains several large, million-square-foot warehouse distribution centers in the Lehigh Valley, which is less than an hour away from Harleysville. The new facility will be used for delivery to customers throughout the Philadelphia, PA area. The facility is expected to open this summer. The San Diego Metro Area, the 17th largest metropolitan area in the U.S., is home to about 3.3 million residents, and has experienced healthy population growth over the last decade, increasing 7.8% since 2010 compared to a 5.3% increase nationwide during the same time. With a population base that is wealthier than average, and has a high concentration of ethnic groups, San Diego’s grocery market has a strong mix of high-end and natural grocers, as well as value-oriented and Hispanic/Asian-focused supermarkets. 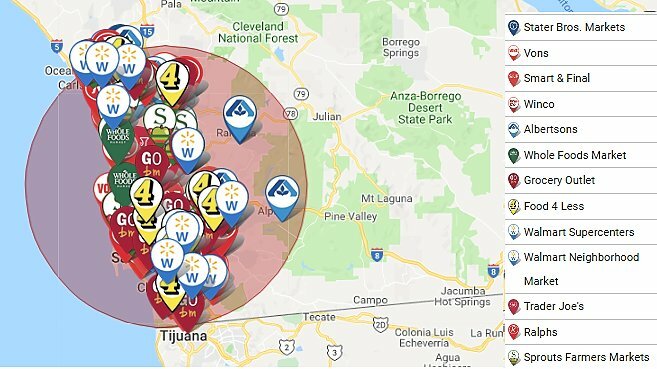 The top three grocers in the San Diego market, Albertsons, Kroger, and Walmart, have remained relatively quiet in recent years, with Walmart the only chain to add stores in the last five years. The lack of significant growth from the top three players has given alternative format chains the opportunity to move in and grab a larger slice of the pie. Our report takes a closer look at the San Diego real estate landscape, and provides visual competitive analyses as well as key real estate metrics such as future openings, store count, market share, and demographics. 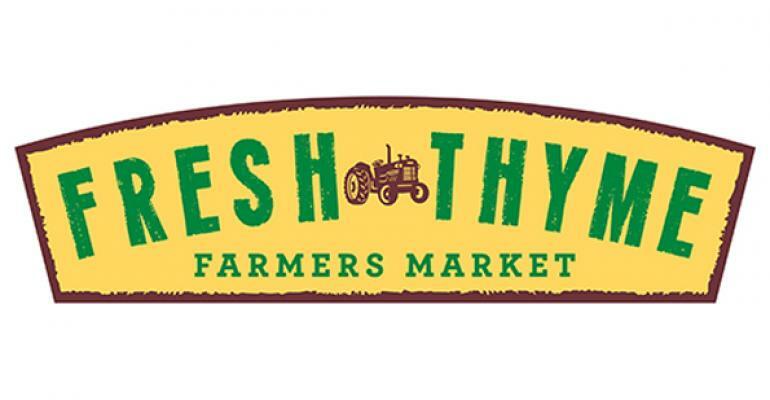 Fresh Thyme Farmers Market appears to be carving out a niche for itself across the Midwest. The chain has now expanded to 77 natural and affordable grocery stores in 11 Midwestern states, cornering the attractive fresh and affordable grocery market space, similar to Sprouts, which has expanded across the West, Southwest, and now Southeast. Though the Company continues to grow store count, it slowed growth in 2018 to 10 new stores; it had planned to open 20. 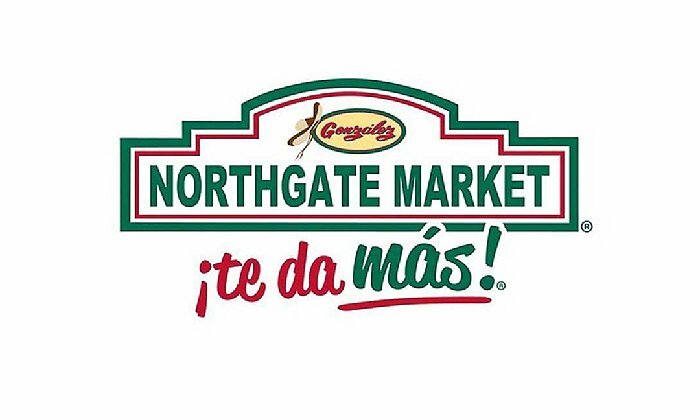 Northgate González Market will open a store in Riverside, CA in November, as it shifts east toward its relocating customer base. This will be the Company’s first location in the Inland Empire (cities of western Riverside County and southwestern San Bernardino County). The 42,000 square-foot store will be in a former Toys ‘R’ Us location. Northgate González has 40 stores in Orange, Los Angeles and San Diego counties. Inland Empire cities have several Latino market options, including Cardenas Markets, which has its corporate offices and distribution center in Ontario. 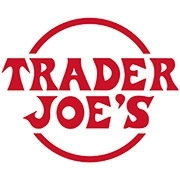 Trader Joe’s is eyeing a location in West Nashville, TN for its second store in the city. A Company representative said the effort is in the “initial stages.” The 23,500 square-foot space was previously slated for a Fresh Market, but that plan fell through in 2018. Key Food Stores Co-Operative opened a 17,000 square-foot Food Universe store in Hicksville, NY on March 15. 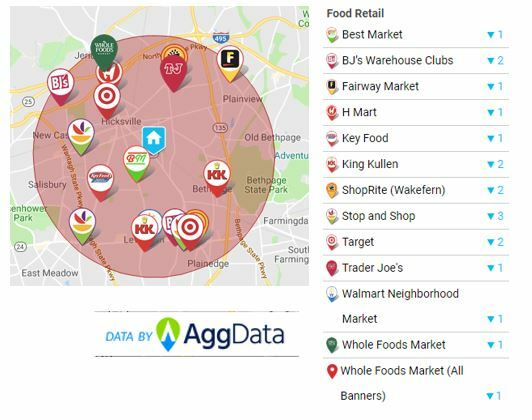 According to the Store Overlap Map below, there are 19 competing retail food stores operating within three miles of the new store. Key Food includes more than 270 primarily member-owned and corporate grocery stores operating in all five boroughs of New York, Long Island, upstate New York, New Jersey, Connecticut, Massachusetts and Pennsylvania. PetSmart recently opened a new store in Staten Island, NY. The 20,000 square-foot store includes facilities for training and a full-service grooming salon. It also has a Pinnacle Pet Nutrition section, which includes an expanded collection of pet food products. 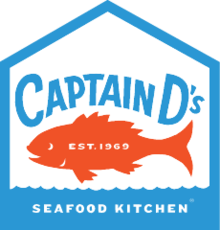 Captain D’s announced it signed two new franchise development agreements that will help it further expand in Florida. New locations will open in the greater Jacksonville-St. Augustine area and Haines City. Earlier this year, it signed a development deal with Harborside Holdings Corporation for three new restaurants in South Florida. Meijer launched its Shop & Scan service to 23 stores in Chicago, IL and northwestern Indiana. The expansion follows a successful pilot of Shop & Scan at 54 stores in Michigan, beginning in the Grand Rapids area in November 2017 and then rolling out to more locations in 2018. Plans call for Shop & Scan to roll out to more Meijer stores throughout the year. The Company operates more than 240 supercenters in Michigan, Ohio, Indiana, Illinois, Kentucky and Wisconsin. 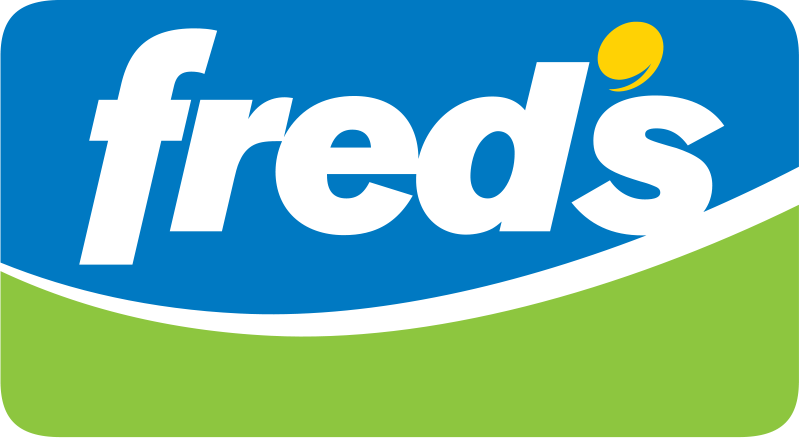 Fred's is still struggling to find the right strategy to curtail its top line erosion, as third quarter comps decreased 5.3%, and revenue fell 5.5%, (restated for the sale of the pharmacy scripts) with eight fewer stores. Front of the house sales declined 9.5%, and pharmacy sales decreased 4.5%. 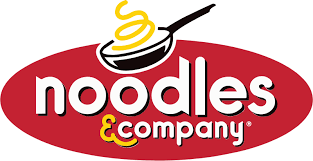 The Company's top line initiatives included adding beer and wine to more locations, expanding private label offerings, adding closeout merchandise to all of its stores, and opening two new Closeout Bonanza stores. Our report takes a close look at the Company’s operational and competitive status, including market position, real estate and sales trends, and provides visual competitive analyses as well as key real estate metrics like store count, average sales per store and sales per square foot. Macy’s plans to open 50 more Macy’s Backstage outlets this year, inside existing Macy’s stores. Macy’s Backstage sells name-brand clothing, shoes, accessories, housewares, and makeup at 20% – 80% below traditional department store prices. The concept was launched back in 2015, and there are now 172 locations primarily inside existing Macy’s stores. Seven of those locations are standalone. On average, Macy’s stores with Backstage locations generate 5% more in sales than those without. The Company uses the concept to fill excess space in some of its stores and offload excess apparel inventory. Meanwhile, according to a Worker Adjustment and Retraining Notification (WARN) notice filed on March 8, the Macy’s Systems and Technology Field Services and Operational Unit headquartered in Bay Shore, NY will lay off 57 employees. The layoffs are scheduled to occur between June 9 and June 22, at which point the plant will close. Macy’s is outsourcing many IT field services functions and is encouraging laid off employees to apply for jobs created at the third-party field services vendor.